The truck-manufacturer plans to assemble its vehicles in Lithuania, the Baltic country’s Prime Minister, Andrius Kubilius told Lithuanian radio following a meeting with Kamaz officials. The assembly plant in Lithuania will turn out up to 2,000 trucks per year for the EU market. 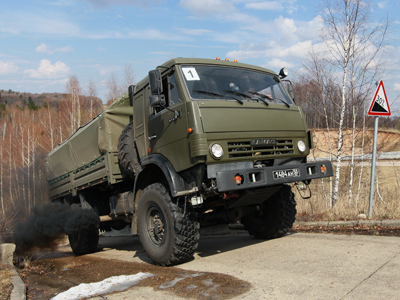 Currently Kamaz exports trucks to the CIS, some Latin American and African countries, India, and Vietnam. 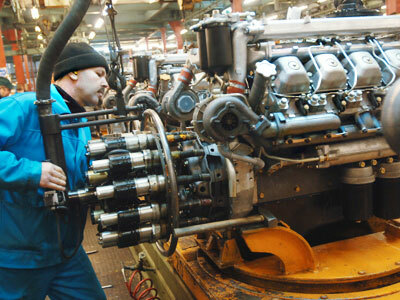 “An assembly line in Europe will enable Kamaz to open up the region’s heavy commercial machinery market for its trucks. While Kamaz’s production capacity for the European truck market will not be very high, it will enable the company to lower operational risks and at the same time allow to “test the European waters” as well as to learn how high is the demand for Russian heavy machinery,” says Kirill Markin from Investcafe. A new assembly line in Europe is part of the company’s plans to sell up to 40 percent of production abroad by 2020 announced by Kamaz’s head of public relations Oleg Afanasyev on Monday. The news of a Lithuanian plant comes just a day after declining sales forced Kamaz to introduce a four-day working week for many of its assembly and office workers at home. Starting this month, the employees will be staying at home on Fridays receiving a pay cut of one-third, the company said. “We produce up to 240 vehicles in a 24-hour period, which exceeds demand, so it’s not worth wasting electricity and human resources,” said Oleg Afanasyev. In addition to the cutback in working hours, the company has stopped financing the Kamaz football club, calling it a secondary asset. The company saw a boom during the economic crisis thanks to a Defense Ministry order for 4 thousand trucks. Sales rose by 40% in 2011. 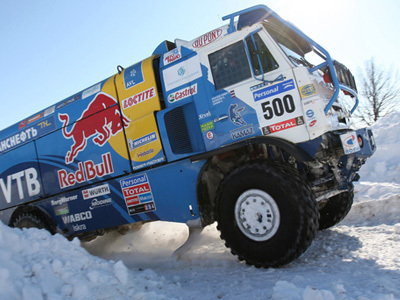 Kamaz managed to keep this rate in early 2012, with 50% monthly growth at the start of the year, but in March the company saw a 5 to 10 percent drop in orders. 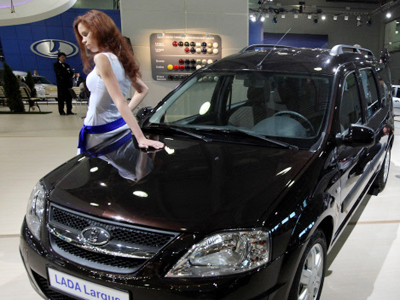 Russia’s upcoming World Trade Organization membership will also be a challenge for the country’s vehicle makers including Kamaz, as lower customs fees for imported used cars will significantly lower market prices. “Kamaz is seeking to increase its presence outside Russia, eyeing not only neighbouring CIS markets, but is also aiming to strengthen its positions as a global heavy vehicle supplier to rival leading producers in Europe and the US,” maintains Investcafe’s Kirill Markin.